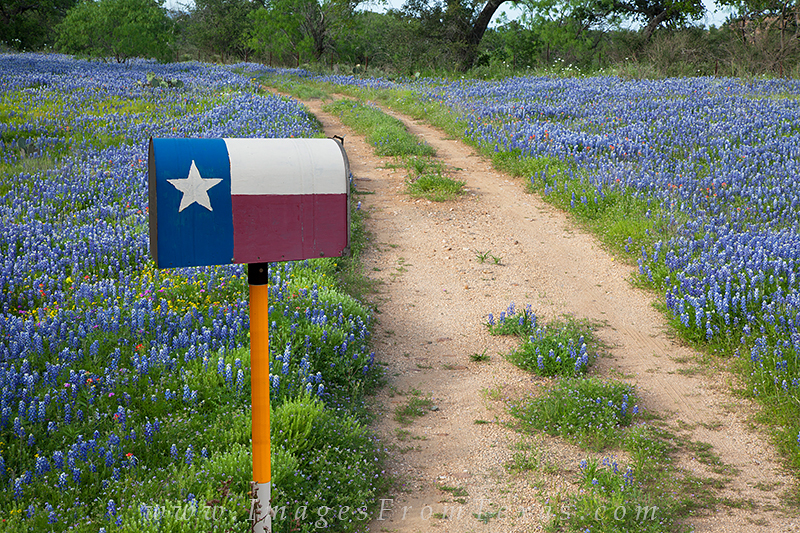 I was searching for wildflowers in the Texas Hill Country on this evening in early April when I found this Texas Flag mailbox at the edge of a dirt path leading to what I think was a house. I met the owners, who asked that I not reveal the location. They feared their little oasis in a field of bluebonnets would become a wildflower photographer's destination. Photo © copyright by Rob Greebon.